The Doctors Revisited - TOM BAKER | Warped Factor - Words in the Key of Geek. Andrew Jero continues his look back at each of the Doctors and a selection of their stories. 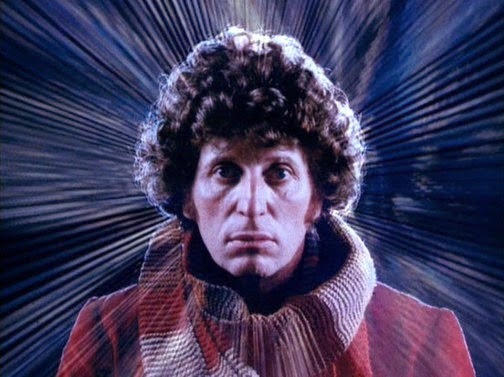 Today it's Tom Baker's record breaking seven year stretch as the Fourth Doctor. This is the eighth in my series of articles revisiting each era of the Doctor. I've been working through them in ascending order of personal preference, and so today we've reached my fifth favorite, Tom Baker's time as the Fourth Doctor. I will take a look at two examples of his best stories, two middle of the road stories and two of the worst stories and with those pieces of evidence justify his position on my list. 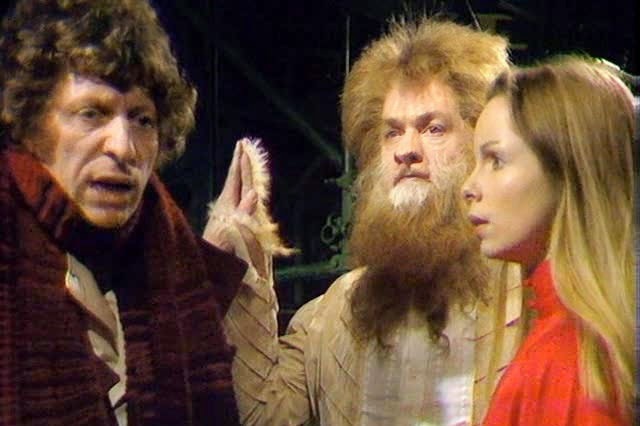 While I won’t be discussing my personal top two Tom Baker stories, State of Decay and Pyramids of Mars, as I have just recently written about them here on WarpedFactor, it hardly matters as there are so many other classic adventures to choose from starring the Fourth Doctor. I'll start with a huge fan favorite, and one that is my second favorite Dalek story and number 11 on my all time list, Genesis of the Daleks. Genesis of the Daleks is the story that first introduced the character of Davros, and finally showed us the origin story for the Daleks. The pseudo-Nazi themes from the original Dalek story are realized here and they provide us with a new perspective on the creatures. We're also presented with two of the best cliffhangers in the show’s history, and some of the best plot pacing ever - it really is no surprise that this story is consistently voted the best of the classic series in poll after poll. I think the best part of this story, aside from Tom Baker’s performance, is that of Michael Wisher as Davros. He gives one of the most chilling performances by any Doctor Who villain ever and provides a lot of the Nazi symbolism with his Hitler-like speeches and ideas. It is definitely Terry Nation’s best script for the series and after 39 years still holds up today. No question, a 10 out of 10. Warriors’ Gate is one of the most imaginative episodes of Doctor Who ever, possibly second only to Kinda. It was the final story in the E-Space trilogy, and also the final story for K9 and Romana. Superbly acted throughout, with direction to match. Even the score is one of the best from that era of Doctor Who. The episode one cliffhanger is brilliant, as a skeleton with an axe looks as if he's about to take a swing at the Doctor, and it is filled with the type of humor that Doctor Who could only get away with when delivered by Tom Baker. Despite the make-up, the Tharil's are excellent, their story is very interesting and really works to redeem them in not only our eyes but the Doctor’s as well. Moving on to a pair of Tom Baker's middle of the road stories, and we'll start with The Android Invasion. This is probably one of the most overlooked stories from the Fourth Doctor's era, but then up against the rest of season 13, which included Terror of the Zygons, Planet of Evil, Pyramids of Mars, The Brain of Morbius and The Seeds of Doom, it was always going to struggle for attention. Often thought of as the dud from that year, it actually still holds up well and is very enjoyable. The Kraals make for a great villain, they do a superb job at everything except for maybe creating a good plan! 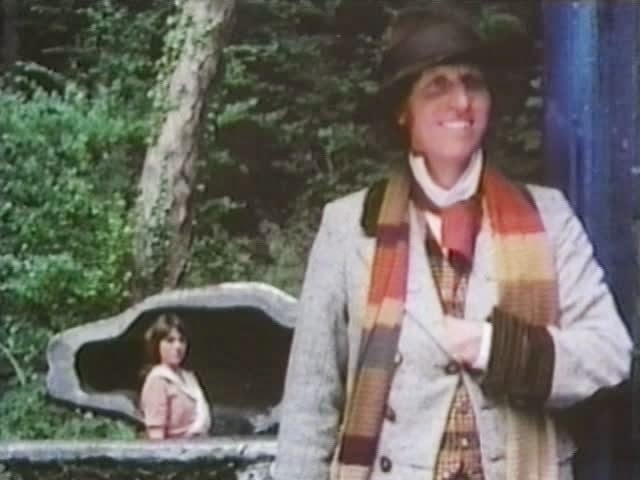 But even with that area of the story not making much sense, it's still fun to watch and has a very cool cliffhanger with the android Sarah Jane detaching her face. The Android Invasion does well to keep the audience engaged, but not quite as well as say Genesis of the Daleks or the Pyramids of Mars does. The Stones of Blood was the 100th Doctor Who story and appears in the middle of The Key to Time story arc. It's a fairly good solid adventure, with some comedy, some horror... basically all of the great Tom Baker staples. It is my second favorite from season 16, after The Power of Kroll, and does a good job of keeping the audience engaged. There's not many other shows on television who could devote four episodes to a weird cult that worship rocks, but that's another of Doctor Who's great strengths. Plus I've always had a soft spot for any Doctor Who stories that involve weird cults, meaning this one, whilst not always kindly remembered by others, appeals a lot to me. With over 40 broadcast stories to his name, and seven seasons in the title role, there were always going to be some episodes that don't work as well as others. 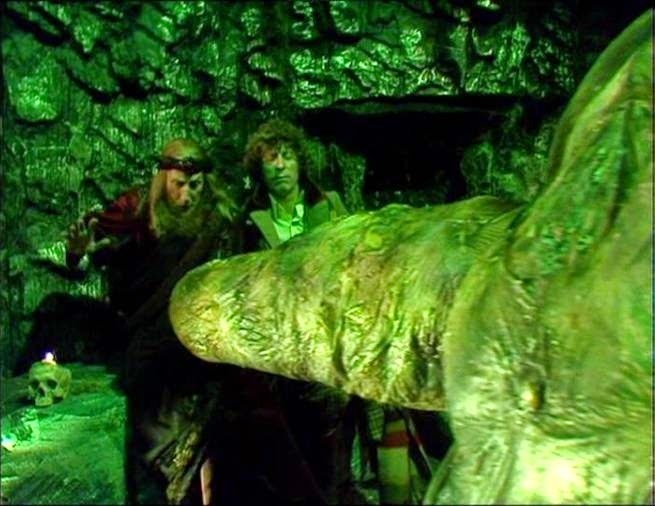 One of the weakest from Tom Baker's era is The Horns of Nimon, mainly because it is one of the most in-cohesive stories in the shows history. I don’t think I’ve ever laughed as hard at a story than this one. It’s hilarious, but not in a good way, in an unintentionally funny way - i.e. it’s so bad it’s funny. At least there’s that to enjoy in this story, because Seth is awful, the Co-Pilot is worse and the Nimon look pretty ridiculous (the walk of the Nimon, as I want to call it, is one of the most ridiculous things I’ve ever seen). But that’s not really the problem, it's mainly all down to the acting and the weak story which makes this one a dud. The only redeeming quality it has is the inclusion of Graham Crowden as Soldeed. Overall it just feels more like a comedy... but a really, really bad comedy. 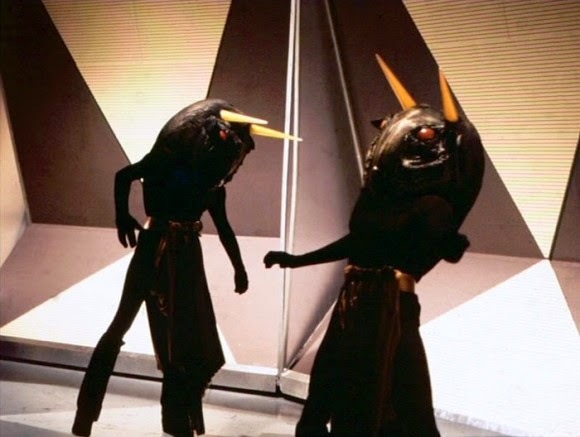 The Creature From the Pit is not only one of the worst stories in the history of Doctor Who, but it also features, without a doubt, the worst monster design ever in the form of Erato. If it was just a poorly designed monster then I could easily overlook that and enjoy the adventure, but this one is so very flawed that it's impossible to forgive. What really deters me from enjoying The Creature From The Pit is the acting (whoever finds any wins a prize) and the sheer absence of quality in the script and direction. Underworld is equally poor, but saved by a brilliant performance from Tom Baker and K9, The Sun Makers is saved for the same reasons, but here... You know a story is terrible if it is even beyond saving by the Baker/K9 winning combination. All in all one of the most frustrating viewing experiences Doctor Who has ever delivered, a solid 0 out of 10. 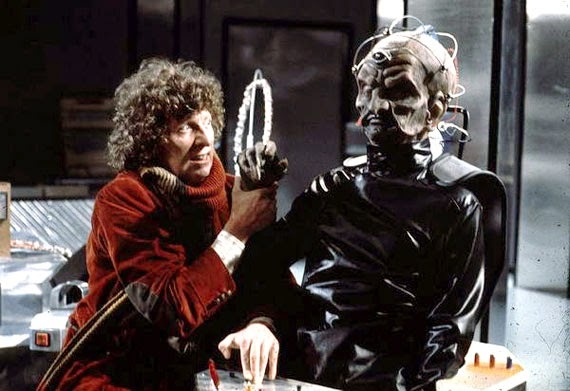 Overall 85% of the Tom Baker era is of a very high quality, 14% of his time was enjoyable on some level or another, which just leaves a couple of horrid experiences to tarnish his amazing resume. It’s really no surprise that the Fourth Doctor remains the most popular, pulling almost 30% of the votes cast for best Doctor in the 50th Anniversary pole. 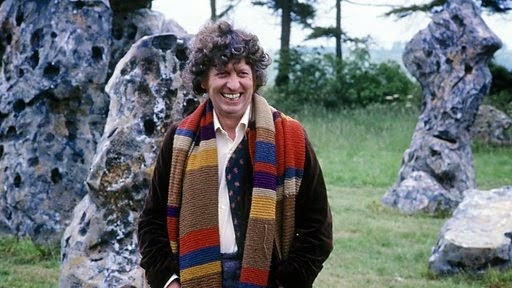 Which Tom Baker stories do you think are the best/worst? Let us know in the comments below.